What if you were to work at a place where colleagues became family? A place where nearly everyone you worked with chose to build their careers there? It sounds improbable, if not impossible, in today’s fast-paced, move-up and move-on world. But on a wooded, nearly 100-acre campus beyond the shadow of Atlanta’s cityscape exists such a place. Influential in forming that place and culture is a person who—behind the scenes—has spent 30 years of her career growing the workforce that powers a consistently ranked top-ten customer service brand. “When I tell people I work at Chick-fil-A, so many share a memory of how, even if for a moment, the brand impacted their lives,” says Dee Ann Turner, former vice president of corporate talent, now leading the company’s enterprise social responsibility team. 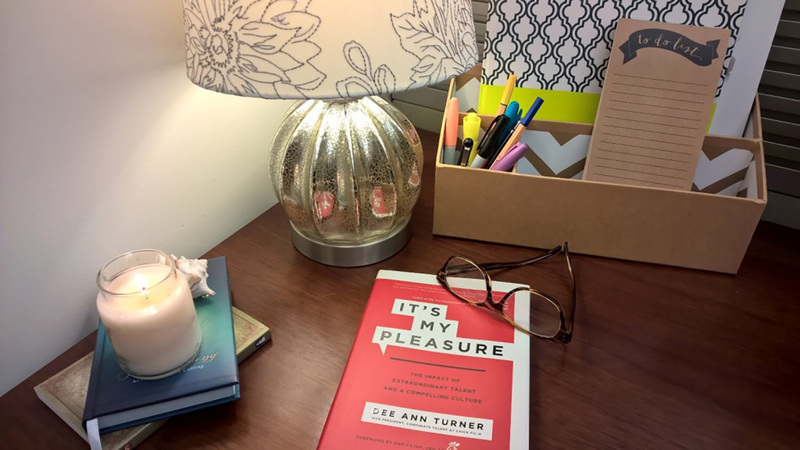 In her newly released book, It’s My Pleasure,The Impact of Extraordinary Talent and a Compelling Culture Turner ponders the answer to that question. In it she reveals what she believes is the secret to customer service—which is the same secret that makes selling and serving chicken more than a career pit stop. 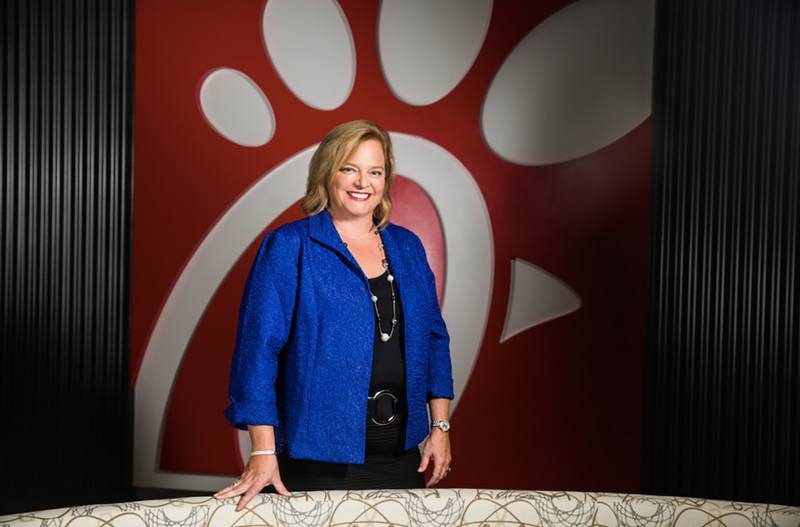 Turner has recruited and selected hundreds of local Chick-fil-A restaurant Operators and corporate staff during her three decades at Chick-fil-A. She worked closely under the company founder Truett Cathy, and adopted his practices and approach to building a now nearly $6 billion business. “For Truett, it was all about the person – the guest, the team member, the operator, the staff member – one person at a time,” says Turner. Many inside Chick-fil-A crack smiles when reflecting on their interview experiences with the company. It’s not unusual for staff to have spent months, and in some cases years, interviewing before coming on full-time. In some ways it’s a badge of honor. Turner tried to get an interview for six months, and once she did, it was another four months before she was offered a job. Thoroughly check references. It’s time-consuming, but Turner doesn’t restrict her reference calls to only those listed on a candidate’s resume. She finds people who worked at the same organizations and checks with volunteer and community organizations if listed. The goal is to know the person beyond the surface-level facts. Investing time to learn multiple dimensions of a candidate now can lead to a better organizational fit. Another (and somewhat counterintuitive) tip Turner uses is trying to talk candidates out of the job. It’s her way of encouraging each person to make his or her own careful evaluation before joining a team and a new company. Basing business success on long-term relationships, Turner feels it’s better to know now if a candidate can be talked out of the job. Not many walk away, but a few have reconsidered. Considering Chick-fil-A’s 50-year, 96-percent staff retention rate, Turner responds by defining terms. “Retention means simply holding on to something, and retained people can just be warm bodies,” she says. “Sustained talent is a competitive advantage.” She believes Chick-fil-A benefits from the latter. Which leads to a third must: commit to success and do whatever is necessary to leverage the investment you have made. Those investments should be seen and felt to the point that staff actually look forward to coming into the office. How does Chick-fil-A approach this? Those aforementioned wooded 100 acres are landscaped with walkable trails that weave around a creek and a pond, where dappled light peeks through the trees. There are hot meals and snacks served on campus that, in addition to being free to everyone onsite, are freshly prepared from an ever-changing menu. There is company subsidized child care for working parents and a membership-free wellness center staffed with personal trainers and scheduled group exercise classes. But beyond the physical, Turner believes a big part in creating company loyalty is letting employees know you’re for them. “Help them grow and accomplish their dreams,” Turner says. While not all companies will offer the same amenities as Chick-fil-A, Turner believes that all business leaders can start by introducing growth and development plans for their staff. Chick-fil-A encourages its staff to develop such plans, and then supports them by providing budget for necessary classes, books and conferences. For Turner’s three remaining tips on finding “the Right Who,” as well as her thoughts on building teams, a compelling company culture, and engaging guests, read on and order her book here.